I don’t mean the stains on your clothes; I’m talking about Pool Stains. 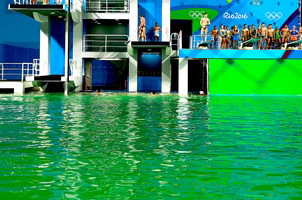 Everyone remembers the Green Pool fiasco at the 2016 Rio Olympic Games, but did you know that the green water was actually caused by a decline in alkalinity and not algae? The pool didn’t have the correct chemical levels to properly maintain the water’s pH, causing metal leaching and discoloration of the water. Now I know what you are thinking, what does a green pool have to do with pool stains? Everything! Discolored or cloudy water, metal corrosion and surface stains are all types of Pool Stains. These stains may be green, blue, purple, gray, reddish-brown, beige or brown, and they are most commonly caused by copper, iron, calcium, silicate and manganese. All permanent stains (ones not easily brushed off) are the result of some chemical imbalance or metals present in water. Lucky for you, SunGuard has a complete line of specialty chemicals for stain removal such as SunGuard Stain and Scale Control, Metal-Out Plus, A+ Stain Remover and E-Z Stain Away. The sooner you treat any stain, the better chance of eliminating it. Here are some common Pool Stains and the SunGuard solution that helps clear them up and in some cases prevent them from coming back. Note: no two stains are the same, so if these tips don’t work, you should consult your local Authorized SunGuard Dealer to help you. Solution: Purple stains are usually caused by a high amount of copper in your water that increases your cyanuric acid level. Lower you cyanuric acid level to about 50 ppm by draining water or adding SunGuard Metal Out Plus or SunGuard Stain, Rust & Scale Control Plus. We suggest having your water tested for any remaining copper after you treat it. Solution #1: The most common source is well water that contains dissolved iron or manganese. Use a non-phosphate sequestering agent, such as SunGuard Stain, Rust & Scale Control Plus in your weekly maintenance routine. Solution #2: Organic debris that settles to the pool bottom or on the pool surface can cause brown staining. Stains may disappear as pool chlorine levels are established or shock treatment is applied; alternatively, using SunGuard A+ Stain Remover for surface stains or SunGuard Super Floc-out for pool bottom stains can also help eliminate brown stains. Solution: High acid chemical levels corrode metals in your pool equipment, pool ladders, light rings and more. Adding a non-phosphate sequestering agent, such as SunGuard Stain, Rust & Scale Control Plus in your weekly maintenance routine will help protect your metal elements from corroding. 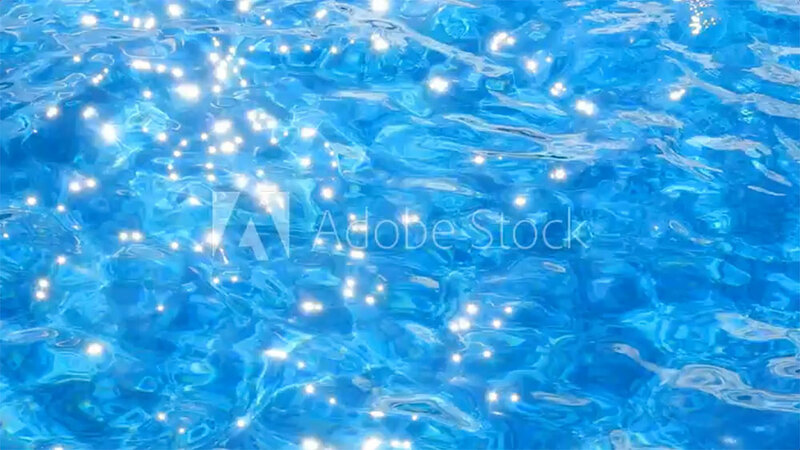 Problem #1: Unable to see the bottom of the pool, and water lacks sparkle. Solution #1: Most cloudy water problems are related to poor filtration. Run your filter continuously for at least 10 hours per day until the water clears. To help speed up the process, use SunGuard Super Clarifier, Filter Aid Plus Tabs, or Super Floc-Out. Problem #2: Weak flow from return inlets, poor to no surface activity, frequent backwash cycles, inadequate filtration due to dirty filter media. Solution #2: Clean the filter chemically twice each season. Use SunGuard Filter Cleaner Degreaser to remove dirt and oil buildup.